You are here: Home » Soldiers vs. Schools in Afghanistan: a Draw? Soldiers vs. Schools in Afghanistan: a Draw? Nicholas Kristoff wrote in Thursday’s NYT op-ed that the $37 billion bill awaiting the President’s signature to fund the continued war on terror in Iraq and Afghanistan is more evidence that our priorities are out of balance. He notes that, according to Defense Secretary Robert Gates, our battle fleet is “larger than the next 13 navies combined” and that our military “has more people in its marching bands than the State Department has diplomats.” Mr. Kristoff would rather we put some of that money into building schools, pointing out that for the annual cost of 1 soldier in Afghanistan, we could start about 20 schools there instead. The liberal Mennonite in me nods in full agreement, but I was raised in a conservative military family. I’ve developed the habit of testing such easy approvals by arguing against myself lest I have to defend them come Thanksgiving. The upshot of this internal debate is that I mostly still agree with Mr. Kristoff’s view, but not without a few caveats. The primary US goal in Afghanistan according to the Obama administration is to keep Afghanistan from being a safe haven to al-Qaida terrorists as it was under Taliban rule when we were attacked on 9/11. To make this happen, the Taliban insurgency needs to be defeated and a stable government established in Kabul. To make these two things happen, there are a host of tactics being deployed from training Afghan police to constructing roads, from hunting Taliban leaders with drones to opening new health clinics, from patrolling hot spots to building local governance capacity. Each of these tactics has some theoretical return on investment (ROI) in terms of meeting our objectives and the ultimate goal in Afghanistan. The question is, how does building a school stack up in terms of ROI against these other options? Do new schools promote peace, undermine support for the Taliban, help build a strong economy and a more democratic and stable Afghan society? Maybe. Probably. Is a new school the best way to directly contribute to defeating the Taliban and establishing a stable government in Kabul so that Afghanistan won’t be the base for future terrorist attacks on the US? Well, that’s a good question (a $37 billion question). There is a practical limitation on the US government building schools in a war zone. The Taliban don’t want us building schools there anymore than they want us posting our soldiers there, and they will resist either with violence. If we build schools where the Taliban are active, they’ll need soldiers to protect them. Mr. Kristoff tries to preempt this argument by observing that CARE operates 300 schools in Afghanistan and that Greg Mortenson’s Central Asia Institute has helped build another 145 schools in Afghanistan and Pakistan, and none of these have been razed by the Taliban. But he fails to mention that these schools are built in areas where the Taliban is least active. In the South, schools still get attacked regularly. According to a recent UNESCO report, there were over 1,000 attacks on education targets between 2006-2008. 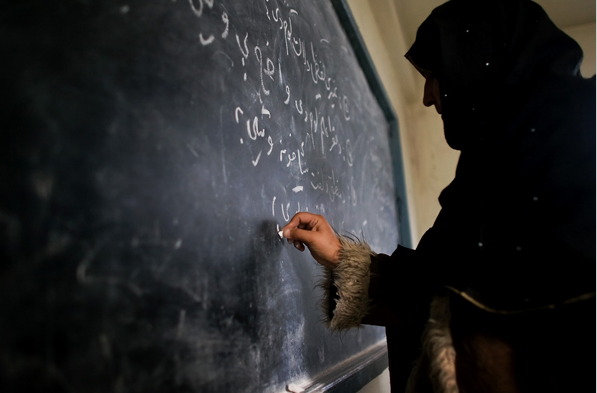 The first half of 2009 saw 123 schools targeted by insurgents (UNICEF). A recent CARE report (Knowledge on Fire – Nov. ’09 ), acknowledges that several southern provinces saw the closure of between 30 – 80% of their schools. With schools getting bombed or burned, caretakers mutilated, teachers kidnapped and threatened, and students attacked with acid or gas, its hard to make a clean case for replacing soldiers with schools. But at the same time, much progress has been made in areas with less Taliban activity. 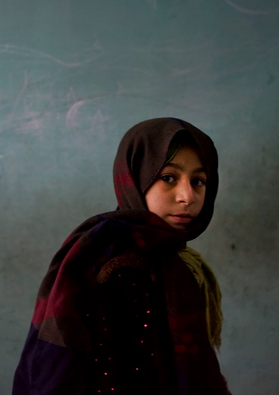 Enrollment for Afghan girls has gone from almost zero prior to 2001 to some 2.5 million according to UNICEF. In some provinces now the problem is that demand for schooling has outstripped its supply. The Ministry of Education indicates that there will be a shortfall of 50,000 – 100,000 female teachers over the next four years. Clearly, there are parts of Afghanistan that could benefit from an investment in schools, and 20 schools for the price of one less soldier seems like good deal – especially since President Obama has tripled the number of soldiers there since taking office to nearly 100,000. The caveat here is that there are a lot of other parts in Afghanistan for which U.S. publically-funded schools without soldiers’ protection would be obvious and tempting targets inviting more violence, including violence against children – especially girls. I would love it if every American chose to support an organization like CARE, World Vision, or CAI who are building schools in Afghanistan, but that’s not the case, and for many struggling families there is good reason. As the price tag for the war on terror continues to soar, I can’t help but think what else the US could be doing with its money. 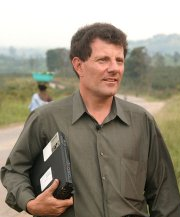 (see www.costofwar.com) Afghanistan is neither a powerless nor penniless nation. It may not be able to rout the Taliban by itself, but certainly it can build and run its own schools. I think people want to reduce our total public spending in Afghanistan, not just trade military spending for humanitarian spending. If there’s a peace dividend to cash in at this war’s end, Americans are not about to sign it over to someone else. I agree with Mr. Kristoff that our current patterns of public spending don’t accurately reflects real US values and priorities. We overspend in general, and the culprit seems to our appetite for defense spending, which accounts for more than a quarter of our budget and about 40% of our tax revenues. According to the SIPRI yearbook, the US accounts for roughly 47% of global military spending. A shift in our public spending is clearly needed. But in terms of what to do in Afghanistan, it isn’t clear that trading soldiers for schools is the answer. The reality seems to be that both are needed, but neither can easily be afforded. A tighter focus on spending to directly achieve our security objectives in Afghanistan and ending our near decade-long military engagement there would allow us to either reduce our public spending or shift it to much needed domestic concerns. At the same time, as citizens continue to manifest their values by making financial contributions to organizations working with the Afghan people, a better future is made possible through education, especially for girls. Schools in Afghanistan may not provide a clear ROI to our national military objectives, but they seem to provide one to the humanitarian objectives of many, myself and Mr. Kristoff included. Photos by Danfung Dennis from the New York Times, except Mr. Kristoff’s headshot which is from his Facebook profile. its time to move forward and don’t look back! Education + Internet = Future! The education of Afghanistan is the golden key to its advancement. Schools will not only educate book wise, it will also show most Afghans the rest of the world that most of them have not seen. It will take time but it all starts with taking the first step forward.